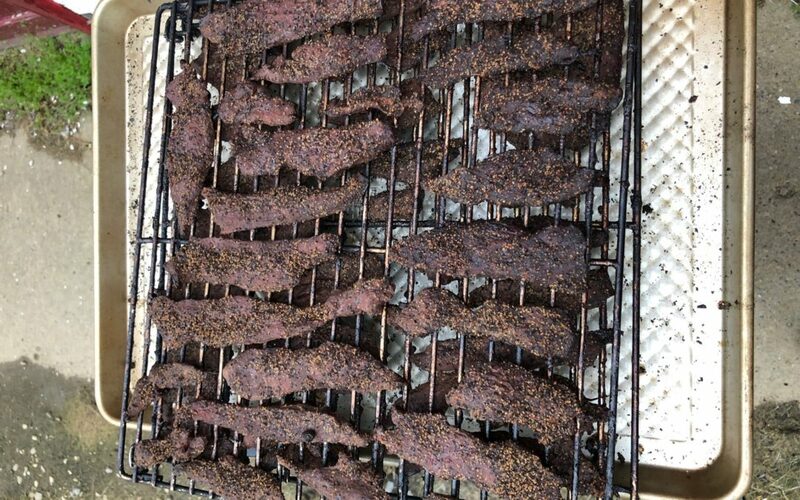 It’s Waterfowl Season and that means… Goose Jerky! Each year we fire up the smokers and we brine the goose breasts – the first step in making good jerky. Not only do we enjoy goose jerky as we hunt waterfowl, many of the wonderful farmers who support us are waiting for us to drop off some goose jerky to enjoy. I’m a meat cutter and sausage maker by trade, and I enjoy making sausage and smoking meat. 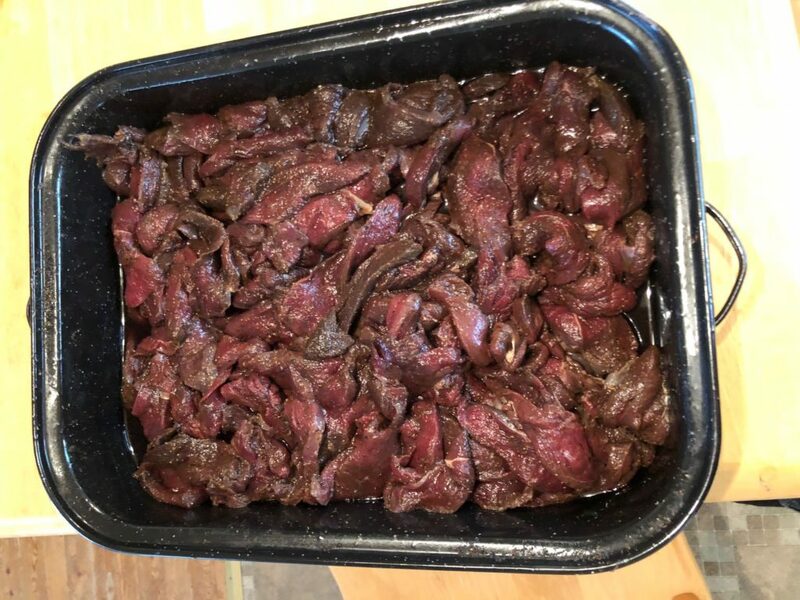 I’ve been waiting for the season to open so I can pull out our tried and true recipe for goose jerky. It’s become a Blue Sky tradition that everyone enjoys. This year at our fishing lodge I landed three fish and immediately mixed up the brine and prepared to smoke the fillets the next day. We have a smoke house and after fishing the fillets out of the brine to dry for a bit before smoking, I was off to get the smoke house from the building it was stored in. I returned and we plugged in…then…. nothing. The next thing I see made a lightbulb go off. In 15 minutes, I was picking up the fillets to put the smoke house I made out of a cardboard box. The smoked fish was amazing. Now I’m ready to get the job done with peppered, regular, mesquite, and chili jerky that are pretty tasty additions to the time in the blind.